(This profile of Peter Kormos, the Ontario NDP representative for the riding of Welland, was written by Doug Draper some five years ago. It was never published because the magazine that asked for it went the usual way so many mainstream publications go today. It became predominantly a “shopper” – a publication at that time became the equivalent of a “shopper” and features of this nature were no longer welcomed. In the dimly lit banquet room of Club Social on Welland’s gritty east side, a raucous chant of “Peter, Peter, Peter” rolls up from the floor. It is the night of the October, 2003 provincial election and, to no one’s surprise, the numbers on a nearby tote board show Peter Kormos leading his nearest challenger by a margin of two to one. 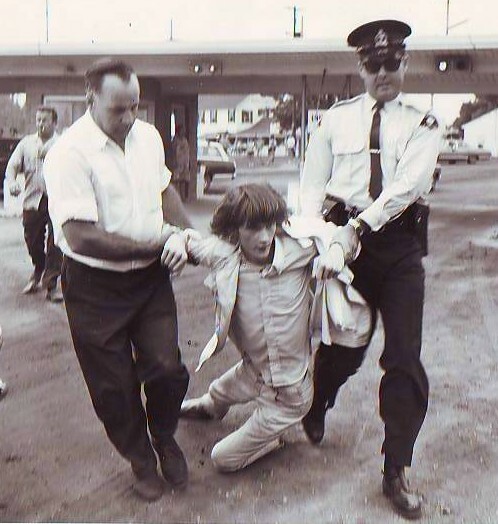 Peter Kormos being dragged away by police at a 1960s protest for public access to our lakeshores at Sherkston Beach on Lake Erie. Photo courtesy of the Kormos constituency office and Joyce Holman, Florida. Kormos, in this election, is one of only seven New Democratic Party candidates across Ontario to survive what some political pundits are describing as a “catastrophic night” for the NDP – leaving it one seat short of the number it needs to hold on to official party status. But there is no hint of catastrophe at Club Social on this night. For a fifth straight election since 1988, when he replaced the retiring NDP stalwart Mel Swart in what was then the old riding of Welland-Thorold, this reputed ‘bad boy of Queen’s Park’, who many in this room regard as a working class hero, will be going back to the provincial legislature to, as many of them are proud to say it, ‘give em heck’ again. Wearing his dress shirt unbuttoned at the neck and his trademark cowboy boots, Kormos finally takes the stage and the chant of “Peter, Peter, Peter” breaks into cheers. The man who has been called everything from a “maverick” to a “fast-tongued hard head” and juvenile delinquent” could not be more at home delivering a victory speech touching on every theme that has fueled him, first as a young activist, then as a criminal lawyer and a politician. In this room, located a few blocks away from what he describes as the “modest red-brick bungalow” his parents built in the early 1950s and from the Atlas Steels plant where his father and so many others in the neighbourhood put in long, dirty hours to support their families, Kormos reminds his supporters of all the “hard work and sacrifice” responsible for so many of the freedoms and opportunities we take for granted today. Kormos reminds them of the “so-called good old days that were really not all that good” when parents sat around one of those chrome-legged “formica tables” in the kitchen and, “in hushed tones,” discussed whether or not they could afford to take a sick child to a doctor because there was no publicly funded health insurance. He reminds them of those who, despite the Great Depression of the 1930s and Second World War, managed to summon the will to build – “brick by brick” – many of the hospitals and school and other public institutions that serve us today. Kormos was born in Welland on Oct. 7, 1952 and spent his formative years in what was then largely a blue-collar area of the city known as Crowland. A voracious appetite for reading and current events rubbed off on the young Kormos. John Giancarlo, a retired educator now living in Pelham, who was principal of Memorial School and one of Kormos’s teachers when he attended his elementary school years there, remembers a person who has since earned a reputation as flamboyant and outspoken, as “a rather quiet, sensitive boy” who loved to read. He was also a boy who displayed an intelligence and maturity beyond his years. “He liked to converse with people on a more adult level,” Giancarlo recalls. Giancarlo also remembers taking a class Kormos was in on tour of the local humane society. Kormos wrote an essay about the experience, including what he felt were the poor conditions he felt the animals were being kept in, that “was very detailed and insightful” On another occasion, Kormos took Giancarlo up on a pitch he made to all of his students to read classic literature. He chose ‘War and Peace’, Leo Tolstoy’s epic novel of life in Russia in the years leading up to and including Napoleon’s ill-fated invasion of that country. The teacher recalls his young student, who had skipped Grade 3 and was now in Grade 7 or 8, coming back with a detailed list of the book’s characters and a convincing grasp of the complex philosophical themes running through its more than 1,000 pages. By the time Kormos entered Welland’s Eastdale Secondary School in 1964, he was absorbed in the folk music of Woody Guthrie and Bob Dylan, and the “beat movement” that spawned novelists and poets like Jack Kerouac and Allen Ginsberg. He was also caught up in civil rights movement in the United States and that country’s escalating military involvement in Vietnam. “The 1960s seized me as a very young kid,” recalls Kormos, who was already impressed by the fact that the federal wing of the NDP and Tommy Douglas, a champion of publicly funded health care, were among the very first voices in Ottawa to come out against the war in Vietnam. And in the spring of 1968, when Kormos made a successful run for president of Eastdale’s student council, the high school’s principal, the late Glen Francis, refused his request to fly the Canadian flag at half mast when U.S. civil rights leader Martin Luther King was assassinated, and later confiscated pamphlets the student council tried distributing around the school, protesting the Vietnam War. Wayne Jarowslawski, who was one of Kormos’s Grade 12 classmates when the 1968-69 school year began and is now a teacher at Eastdale, says Francis was “an authoritarian (who was) very, very strict. It was his way or no way.” He remembers Kormos as a student who was “very brilliant, academically” and “was in many ways, so much further ahead of the rest of us” when it came to debating the issues of the day. In Eastdale’s 1968-69 yearbook, Kormos is described as someone who “makes full use of his freedom of speech to air his views. He can keep a discussion going with his ability to argue.” It didn’t wash with the principal. The final showdown came in October of 1968 when Kormos and his council led a three-day student strike against what they viewed as unreasonable restrictions being placed on their rights to expression. Depending on who is asked, anywhere up to about 100 the school’s roughly 900 students joined the walk-out that ultimately resulted in Kormos being thrown out of school. There were those, including many educators in the Welland area, who were disturbed that someone as bright as Kormos had been tossed out of school in protest of rules Jarowslawki says were lifted when Francis left Eastdale the following year. He was befriended by a number of them and by others across region including the late Judy LaMarsh, a Niagara Falls lawyer who was a secretary of state in the cabinet of Liberal prime minister Lester B. Pearson. With the help of some of those people, he was able to gain admittance as a mature student at Niagara College and take enough night courses to t Niagara College to earn his way into York University and, later, to Osgood Hall’s law school. Kormos would return to Niagara to practice criminal law, often butting heads with the police and Crown attorneys over down and outers he felt were wrongfully charged. “Some very good lawyers will pick and choose their cases,” he says. “But I had no qualms about taking on the hopeless cases because you just have to work that much harder. It is easy defending people who didn’t make confessions. Kormos went on to do politics, first as a city councillor in Welland, then as the MPP for a Niagara Centre Riding that includes Welland, Thorold and parts of Pelham and south St. Catharines. 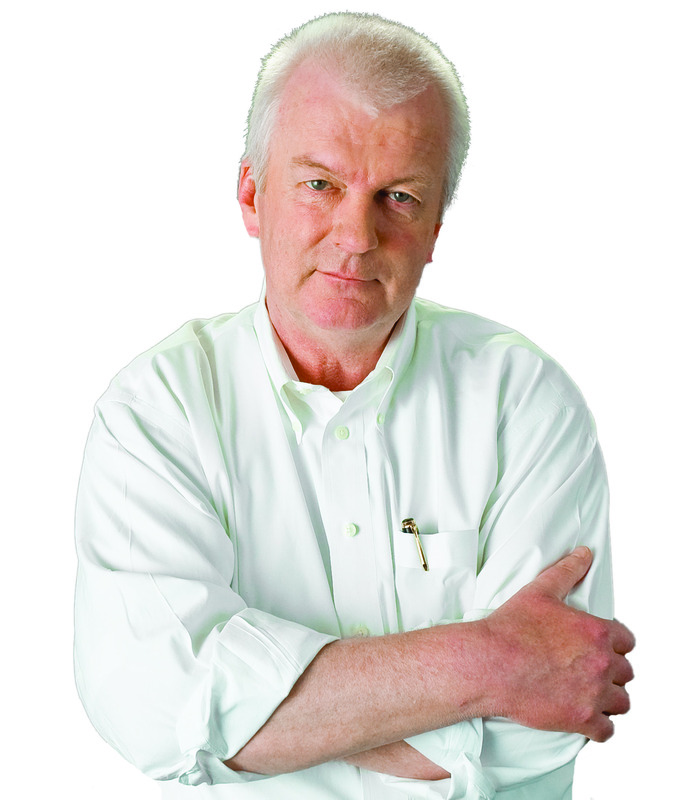 He made province-wide headlines in 1990 for staging a record-long, 17-hour filibuster in the provincial legislature over a no-fault auto insurance plan the then-Liberal government was floating that he felt was unfair to drivers, taxpayers and innocent victims of traffic accidents. By 1990, the rookie MPP had made such a stamp for himself at Queen’s Park that, later that year, when the NDP ousted the Liberals in a provincial election, its leader, Bob Rae, felt he had no choice but to appoint him to a position in his cabinet. But his stint as a minister of consumer and commercial relations didn’t last very long. The following year, after countless run-ins with Rae and his colleagues over auto insurance and a host of other issues, and what Kormos described later as a self-deprecating appearance as ‘Sunshine boy’ in the Toronto Sun, Rae turfed him out of cabinet. At the end of it all, Kormos isn’t all that concerned what Rae thinks of him or about the kind of criticism he received two years ago from Nicole Smith, Liberal MPP from North Bay, for not wearing a tie in the legislature – a slap he countered by coming to the legislature the following day wearing a tuxedo. More important to Kormos is speaking out on behalf of people in his riding. On his desk in his Welland constituency office, Kormos holds up a photograph of himself and dozens of people – many of them in their 70s and 80s – who gathered at a recent banquet in the city at St. Michael’s Ukrainian Catholic Church. This article could have been written yesterday,it is still fresh,Peter would never get elected anywhere else but Welland maybe Sudbury, I always thought he was a voice for the downtrodden and the workers of our great country,Welland like many of Canadas manufacturing towns, because of the crazy and heartless NAFTA, the brainchild of the Chamber of Commerce of USA and Canada which saw all our jobs dissapear to Mexico. We need a few more people like him. Sure he’s a s*@t disturber and I don’t always agree with him but at least he’s not a sheep like the rest. It is with great sadness that I comment on this article. With the news of the death of Mr. Kormos, many are shocked and saddened to hear if his loss. His legacy in Ontario politics, and in his own hometown will never be forgotten. As the flood of condolences come from the politicians, so too do they come from all the people of his city of Welland. He leaves a legacy that will never be forgotten. He was respected and loved by many, and will be sorely missed by many, both within my community and elsewhere. There are none that could ever fill his shoes, or in his case, cowboy boots. I would like to express my gratitude for the writers and online publishers of this interview for sharing a very intimate and personal portrait of this great man. I will share this article with as many as I can, and thank you making it available to us all. Thanks for presenting this article with this intimate portrait of the man. He will be missed by many in the community, and far beyond it. I will be sharing this article with many others online. There is so much more to do and we now must do this without the man with a cause. R.I.P. My heart goes to any man and or woman who speaks for the poor, and or the the disadvantaged. The people have lost a great person. I remember the days, the days of protest from our generation, we still have far to go. I have been inspired by men like Peter. The man who speaks for the disadvantaged and the ones left behind. Thank you kind Sir for doing what you could for all of us. Sometimes standing alone and speaking up is all we can do to bring justice for the abused and victims of a system which claims to have checks and balances but forgets the real world. With his passing let us all carry the torch. R.I.P. 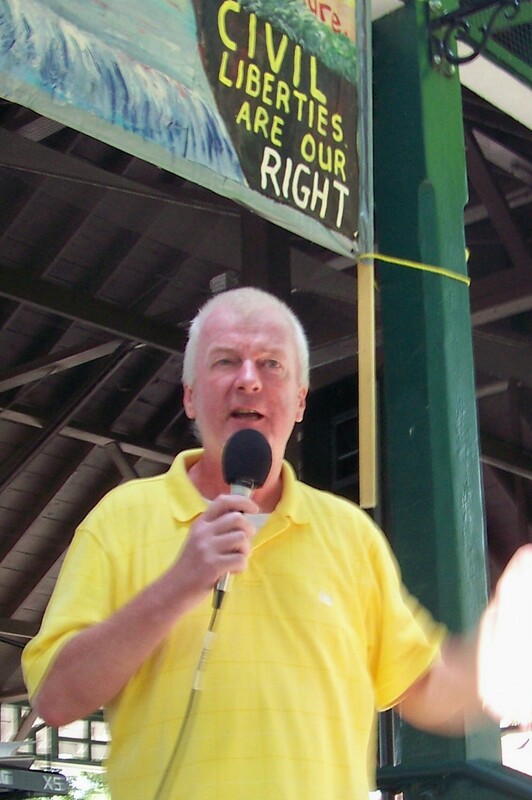 Dear Peter Kormos….What a loving and giving soul you were, not afraid to fight for the destitute, deprived and disfavoured. You will be most terribly missed. i pray someone listened and benefited by your voice, and will now resonate the words you spoke from your heart, and will work towards accomplishing your unfinished struggle for justice for all. I thank you, most gratefully Mr. Peter Kormos.